Hazy and straw in color with a dense white cap of rocky foam. It is earthy and fruity on the nose. Very complex aromas, some hay and definite yeast tones with spices like coriander and pepper as well as some lemon. A sip of this lively carbonated beer brings in sweet malt, and then musty and earthy hop notes and a suggestion of rosemary bread. 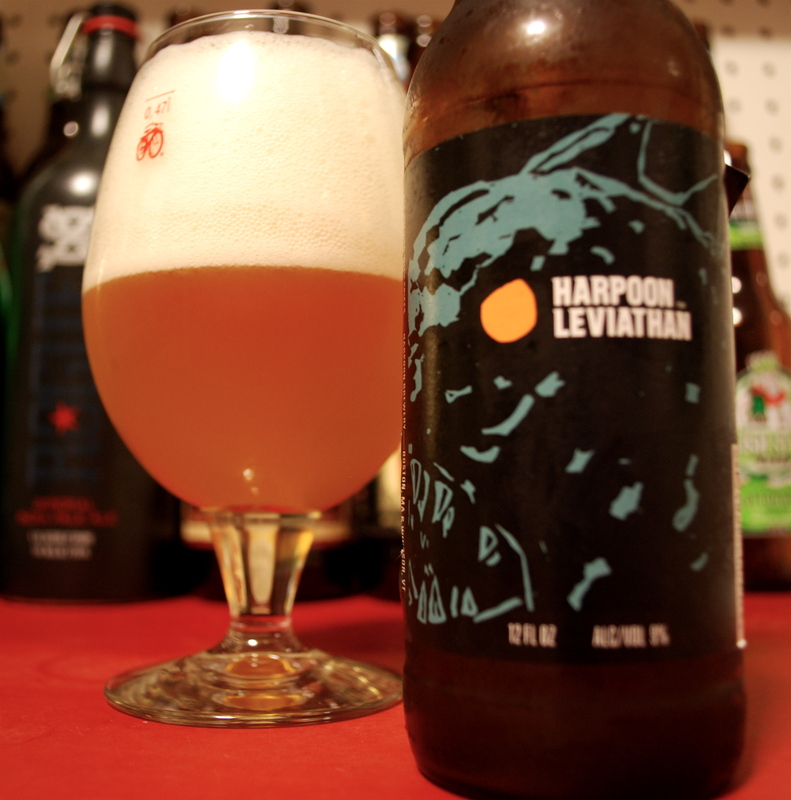 This beer is very complex, yet balanced and clean with a dry peppery finish. 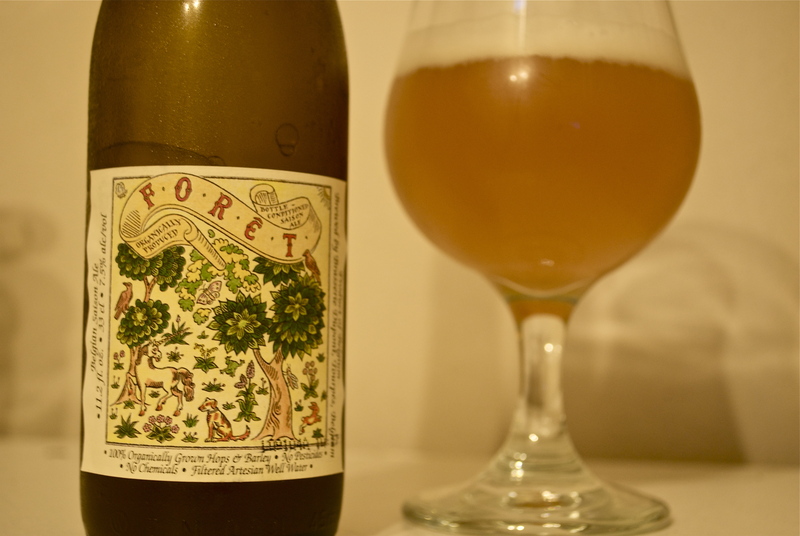 Foret is very drinkable; as a result, my notes are short because I mostly drank. To start, this will go good with a brunch high in fat. The savory and spicy flavors in the beer will go well with most savory breakfasts and the meat, even hollandaise sauce can’t stand up to the high levels of carbonation here. The herbal notes in this beer will work well with anything from roasted chicken, turkey or even sausage. Most of these traditionally use rosemary already and the combination will be great. Again, another good bottle to bring to Thanksgiving. Pours a golden straw color with a lively and dense white head that stays around for a while. The large head is expected from a Belgian style. It looks very bright, and promises sweet malt and a refreshing, crisp taste. Smells initially of the yeast with some strong esters coming through, then some sweet grain. A delightful and bright aroma, that begs to be drank. The taste is subtle but delicious and everything desired in a Saison. There is the initial influx of lively carbonation that bites the palate then gives way to floral and breadlike, pale malt qualities. There more of the fruity esters on the palate, notably lemon an banana with clove. Following the fruit is more sweet malt and a crisp, peppery dry finish that lingers like a bite of sweetbread. This disappeared from my glass quickly and I wish I had more. The sweet bread a herbal, floral, and fruity flavors makes it complex, yet widely appealing beer. Harpoons Saison Royale is simply sublime. I think pairing some soft cheese like Brie or St. Andre and French bread with this beer would make for a great afternoon escape. Also, try a stronger cheese that might harmonize well with the subtle complexity of the beer lifted off the tongue by the resilient carbonation.